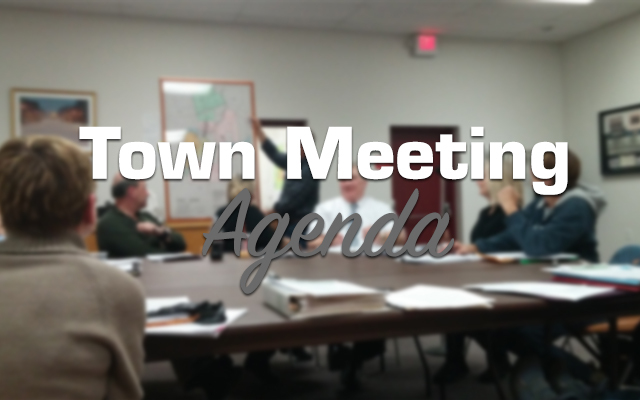 The Houlton Town Council will hold its regular meeting on Monday, Feb. 11, at 6 p.m.
HOULTON, Maine — The Houlton Town Council will hold its regular meeting on Monday, Feb. 11, at 6 p.m. I. Minutes: Regular Council Meeting of January 28, 2019. D – (020119-4) Council accepts the bid of $5,345.00 from P&E Distributors of Van Buren, Maine, for a Floor Scrubber for the Gentle Memorial Building. E – (020119-5) Council reappoints Gerard J. Berthelette as a member to the Houlton Planning Board for a five-year term, as recommended by the Planning Board. F – (020119-6) Council approves execution of the application to the Department of Public Safety by the Houlton Rotary Club for a License to operate Beano/Bingo on April 4, 2019, at 110 Military Street. G – (020119-7) Council designates the Town Manager to be the appointed representative for the Maine Service Centers Coalition and designates Councilor ______________ as the Alternate. A – Medical Marijuana Information Update. B – Town Manager’s Reports.